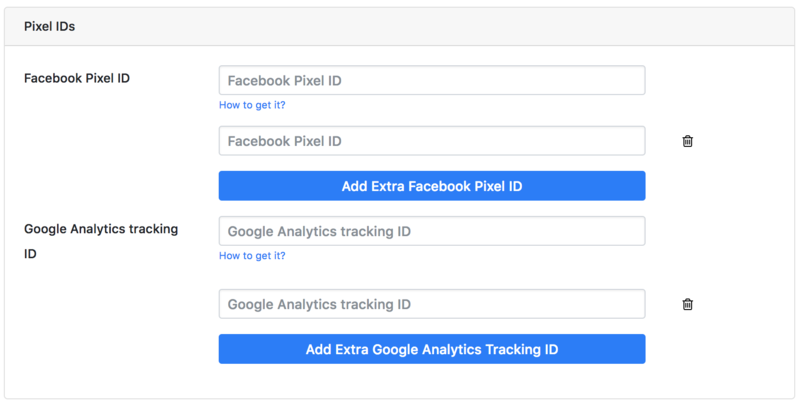 With this add-on ON you can add multiple Facebook Pixels and Google Analytics tracking IDs. NOTE: You can’t have more than one Pinterest tags. Open PixelYourSite Pro dashboard and click on the large blue button under the ID fields. Once you’re done, save the settings.